The Magic Dragon has been one of the most popular Kodi addons for close to a year now. During that time, it grew by adding new types of content and even incorporating entire addons into its offer. Today, you can use The Magic Dragon to find and play movies, TV shows, documentaries, music, cartoons, and plenty more. 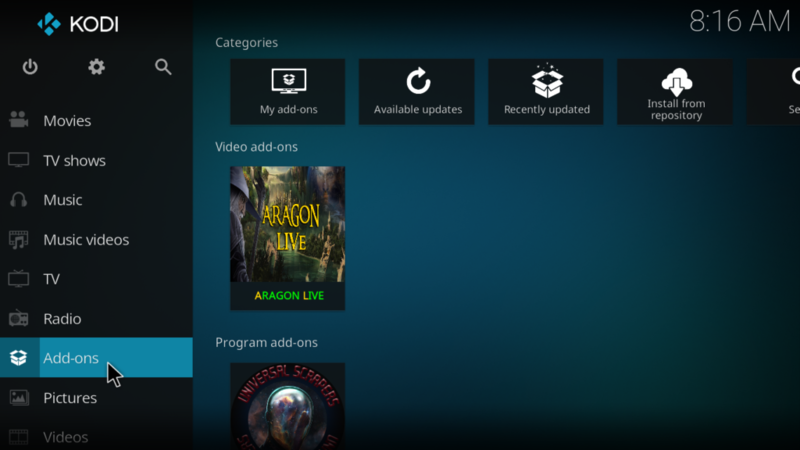 The only question is – how to install The Magic Dragon addon for Kodi? Well, that’s why we’re here to help! You should know that this addon has recently switched to an all-new repository. Therefore, we made sure to update this article with the latest official information available. 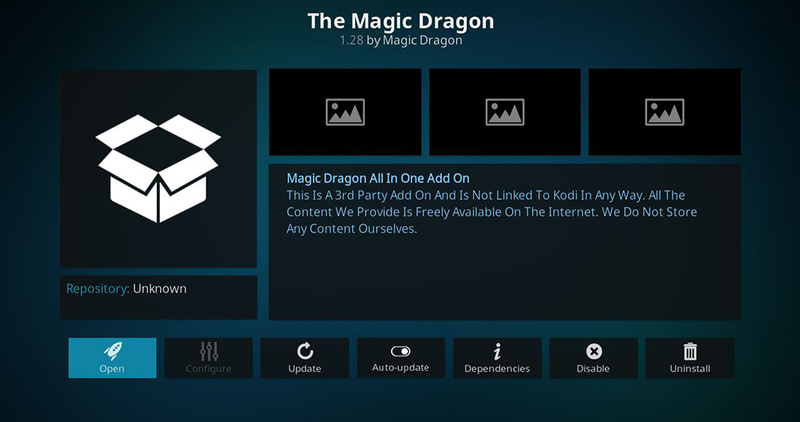 Let’s see how to install The Magic Dragon Kodi addon, what to expect from it, and plenty more. Before getting started, we recommend you to update your Kodi to Kodi 18.1 Leia. 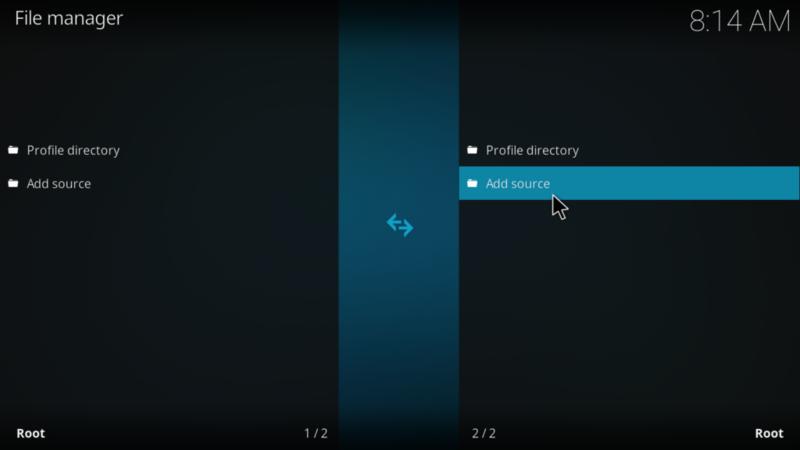 Also, you need to enable unknown sources within the application itself. And then, here’s how to install The Magic Dragon on Kodi. Launch Kodi and look for a Cogwheel icon in the top-left corner of the screen. Select ‘File Manager‘ and then double-click on ‘Add Source‘. You’ll notice a pop-up. Select the first text field saying <None>. Copy and paste the following URL in the text field: http://2supremacy.uk/repo, and then click on OK.
Rename the media source as ‘SUP‘, and then click on OK.
Return to the home screen and select ‘Add-ons‘ from the left-placed menu panel. Select the Open Box icon in the top-left corner. Click on ‘Install From ZIP File’ from the list. 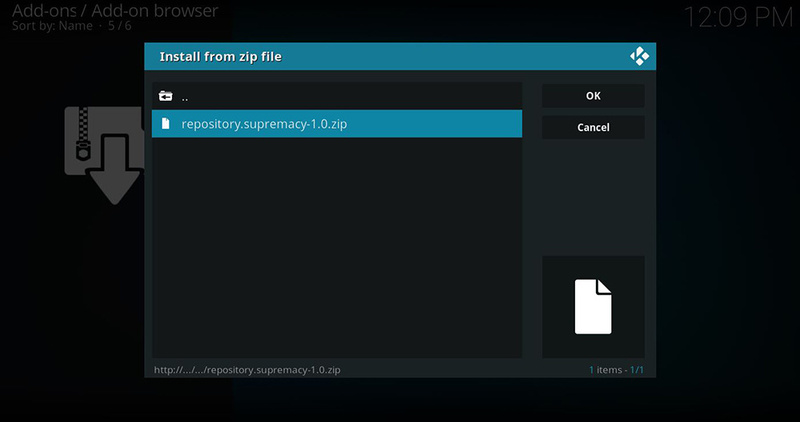 Select SUP and then click on the ZIP file of the Supremacy repository. After a few brief moments, you’ll see a message that the repository is now installed. Go to Supremacy > Video Add-Ons > The Magic Dragon. Click on the addon’s name. Now, click on ‘Install‘ at the bottom right corner of the screen. Once the addon is installed, click on ‘Open‘. That’s it! 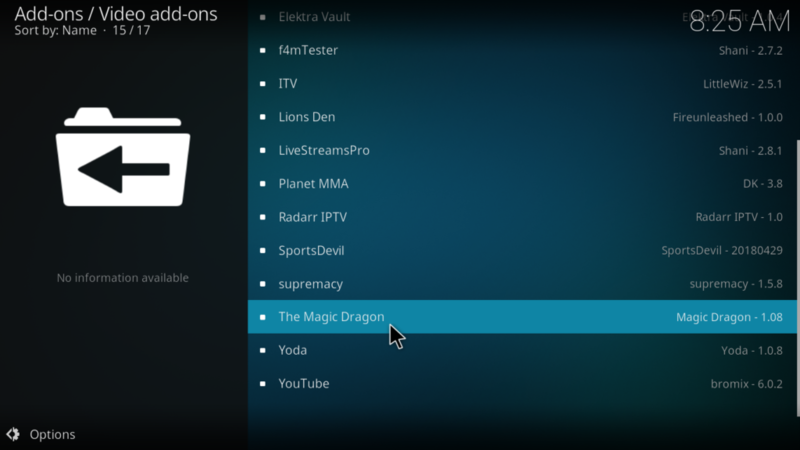 What to Expect From The Magic Dragon Kodi Addon? As we stated in the introduction of this guide, The Magic Dragon Kodi Addon is filled with content-rich categories. During our testing, we found this addon to be intuitively organized and pretty easy to navigate. Let’s go through its subcategories one by one and explore what goodness it has on offer. People Watching: This is a collection of all the titles that are trending within the addon. It’s an easy way to explore what currently is popular and relevant. This list gets updated every day. New Movie releases: As the name indicates, it is the collection of the new titles that have been recently released. This category is very handy if you keep forgetting what is releasing on this Friday. Catch up TV: This is an interesting category. It enables you to watch live channels from UK television for free. A variety of channels are available to live stream. Documentary: A list of popular and classic documentaries are sub-categorized in a clean and organized layout in this category. We were surprised by how often this category gets updated. Kids: The section offers movies, TV series, songs, music and much more for the young group. It is so rich in content that you can leave your kids in this category and forget about them. Music: The collection of all the trending and the popular artists, this category also enables you to find your music based on genres and artists, which we think is pretty cool. Movies: A massive directory of new and old, trending and archived movies from various sources. It’s organized and easy to navigate through its intuitive filters. Radio: This category features a wide range of radio channels from around the world. So, if you are a radio fan and like listening to tunes with your eyes closed, this could be your partner. Sport: A huge collection of live and recorded sports content. You can easily get to what you want through its game-specific sub-categories. TV/Entertainment: A shortcut to the wonders of television world with all the popular-new and old, TV series. This category is clean and can be filtered based on various available presets. 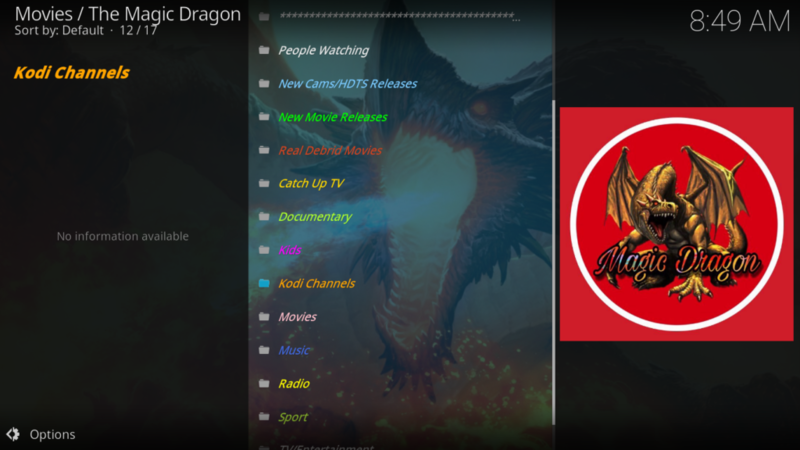 We think The Magic Dragon Kodi addon is a great addition to Kodi in 2019. It adds so much entertainment to the living room that one can never be bored. We highly recommend it as we believe it should be an essential addon for any Kodi user. If you are down with an error while installing the Magic Dragon addon, kindly let us know by dropping a comment. We’ll try our best to assist you as timely as possible. Lastly, we’d like to ask you to share this article online. And also, stay on top of the latest Kodi news by following TechNadu on Facebook and Twitter. Thanks!